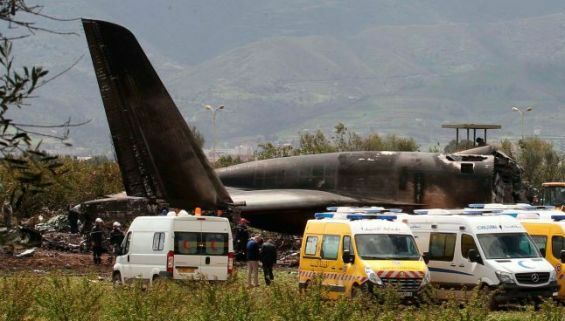 A military plane of the Algerian army crashed in Boufarik this Wednesday. At least twenty-six Polisario officials are counted among the 257 dead, say government and local media. A plane of the Algerian army crashed on Wednesday morning, near the Boufarik airbase (35 km from Algiers), announces the APS. According to its information, "the plane was departing for Bechar in the Southwest of the country". "A thick black smoke emanated from the burning device. It was visible from the highway connecting Algiers to Blida, following this crash whom the reasons are still unknown", adds the same source. Although the official news agency did not give an estimate of the number of casualties, the Algerian private television channel Ennahar quickly reported 200 deaths among the soldiers on board the plane. The number was then picked up by Arab and international media. "The number of martyrs to be deplored is 247 passengers and ten members of the crew, most of whom are National People's Army staff and members of their families." Based on the same source, TSA also indicates that the aircraft was providing "the Boufarik-Tindouf-Béchar flight" and that it crashed "within the perimeter of the Boufarik Air Base in an uninhabited agricultural field". Contacted by Yabiladi, a Moroccan source contradicts the official Algerian version. The plane, Iliouchine-type and Russian-made, allegedly made a flight to connect Tindouf and Algiers and not the opposite, according to our interviewer: "The aircraft was damaged while it was in a landing position, not a takeoff one. Moreover, the daily website Echourouk had, in a brief, indicated the destination of the flight before removing it." "Algerian officials are trying to cover the tracks to hide the presence of 26 Polisario representatives from different military areas, who lost their lives in this incident.They were on the road to meet this afternoon at the headquarters of the Algerian Ministry of Defense, with other members of the military hierarchy of the eastern neighbor." In addition to that, the website of Al Arabya channel quoted Jamal Ould Abbas, general secretary of the National Liberation Front (FLN), the ruling party in Algeria, who told the media that among the victims of the military plane "there were 26 members of the Polisario Front". 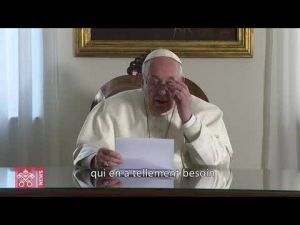 Since the beginning of Morocco's diplomatic-military offensive against the incursions of Front militiamen into the buffer zones, "these meetings are frequent between the two parties", indicates our interlocutor. He adds that "since then, the presence of Algerian experts in the camps has been reinforced. They serve as deterrents". We have mentioned in a previous article a meeting held on Sunday, April 1, just after the head of Moroccan government, Saadded El Othmani, concluded an interview devoted to the situation in the buffer zones, with the leaders of political parties represented in Parliament.